In Test Cricket, the red colored ball is used while in ODI and T20I, the white colored ball is used. What is the difference between these balls(apart from color)? Why are different balls used in different formats? Differences between red and white balls can vary based on the manufacturers. Kookaburra maintains that their red and white balls are manufactured using the same process apart from the dye used for colouring. They claim that the swing properties of both the balls are similar - as everything, apart from the colour, are the same. This, however, is disputed by the players and researchers who claim that the white ball swings more. Dukes has a different manufacturing process for each of the balls. They claim and tests have proven that the white ball infact swings more than their traditional red balls. This is due to a polyurethane coating on top of the white-dyed leather to ensure that the ball does not get dirty quickly. This coating makes the ball smoother and changes its aerodynamics thereby assisting swing. The white ball swings more than the red ball. The white ball is easier to spot than the red ones, especially on television, which is why these were preferred over the red ones for limited overs cricket. White balls are harder than the red ones. White balls are smoother than the red ones. As mentioned in the question, white balls are used for ODIs and T20s while the red ones are used for Test cricket. You can read more about this here, here and in better detail here. The major reason for using white ball in ODI and T20 is that many of those matches were happening as Day & Night matches and it was very difficult to spot the red ball under floodlights. Cricket balls were traditionally red and test matches still use that(Compared to red ball, white balls deteriorates more quickly and hence red balls are more suitable for test matches). 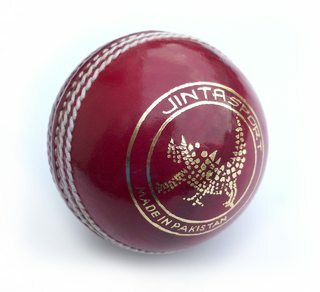 Cricket balls are traditionally dyed red, and red balls are used in Test cricket and First-class cricket. White balls were introduced when one-day matches began being played at night under floodlights, as they are more visible at night. 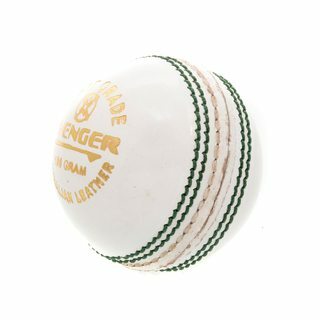 Professional one-day matches are now played with white balls, even when they are not played at night. This was one of the reasons why the player's dress color was changed from white to colors so that the ball can be spotted very easily in ODIs and T20s. Other colours have occasionally been experimented with, such as yellow and orange for improved night visibility, but the colouring process has so far rendered such balls unsuitable for professional play because they wear differently from standard balls. A pink ball was used for the first time in an international match in July 2009 when the England Woman's team defeated Australia at Wormsley. The white ball has been found to swing a lot more during the first half of the innings than the red ball. So you are correct, white balls swings more than the red balls during the first half of innings. Red ball under yellow floodlight takes on a brownish color which is very similar to the color of the pitch. That's why white ball especially used in day night Cricket matches. As the red ball swings less than the white ball it is used in test crickets. As the jersey used in ODI and T20 are color rather than white so they prefer white ball in matches. Not the answer you're looking for? Browse other questions tagged cricket equipment or ask your own question. Is their any difference between red and white ball? What is the practical difference between traditional and “toe” snowboard bindings? Why Day and Night test matches were not played yet?